This is a great opportunity for a large lot near town with all kinds of possibilities. There is enough room for any additional buildings in addition to a house on a .44 acre lot in one of McAllen's communities served by the Sharyland School District which is considered among the best in the area. "Video and/or Audio Surveillance may be in use." 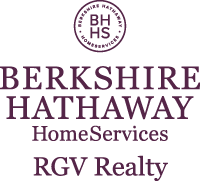 I am interested in 4717 W Lark Avenue, McAllen, TX 78504. Sign up for Inside AccessTM to view recent sales near 4717 W Lark Avenue.